Your dinner party won’t be same without this iconic side of pickled radish. What other Korean dishes should you include? What does summer mean to you? Does it conjure up images of ice cream, hot dogs, fireworks, and backyard barbecues? Still, you’re probably not thinking about your next dinner party. But instead of making it a potluck where everyone brings something, wow all your guests with these Korean dishes instead. 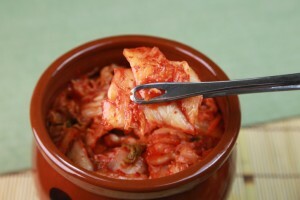 If your friends and family are fond of food that has a kick, then you’ll need kimchi. Your dinner party won’t be same without this iconic side of pickled radish. Although this technically isn’t a full dish by itself, it is a superb complement to everything else you plan on making. Variety of the spice of life and japchae can be a revelation to your loved ones who have never heard of it before. Use glass noodles as the base, and then cover the noodles with sauteed veggies, sesame oil, and soy sauce. Just in case someone in your party would prefer not to eat red meat, you can offer them this delicious salmon dish instead. Korean dishes aren’t always about the heat – but this fish is best when freshly broiled. Douse the salmon fillets with the soy honey glaze, put them in the broiler, and them serve then with rice or japchae once they’re ready. Summer is full of long days and short nights; after all, that’s how summer is supposed to work. That means you can see the fireflies winking in and out at sunset while you relax with a cup of barley tea. Including barley tea as the beverage for your dinner party is an authentic touch because it’s one of the most popular tea flavors in Korea – and you can serve it at any temperature you can think. The only thing you need to do is get roasted barley and water. Boil the water, add the barley and give it twenty minutes to steep and simmer before you bring it to the table. This entry was posted on Friday, June 29th, 2018 at 9:12 am . You can follow any responses to this entry through the RSS 2.0 feed. Both comments and pings are currently closed.